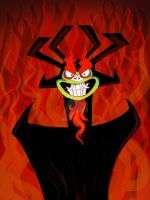 Aku: Have you even been listening to me! 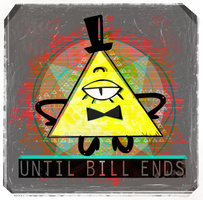 Bill Cipher is the LAST person who should be giving therapy sessions. Guy's got more loose screws than IKEA furniture. 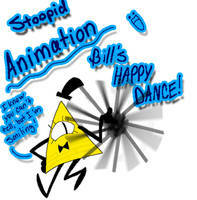 Ha, Bill wrote 'Blah Blah Blah' on his notepad .... and something else. 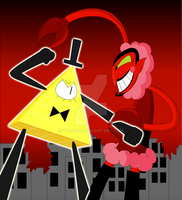 Let me see here .......... oh. i think i will keep the easter eggs for future art.